The Center for Tropical and Subtropical Aquaculture (CTSA) is one of five regional aquaculture centers in the United States established by the U.S. Department of Agriculture. The regional aquaculture centers integrate individual and institutional expertise and resources in support of commercial aquaculture development. CTSA was established in 1986 and is jointly administered by the Oceanic Institute of Hawaii Pacific University and the University of Hawaii. The CTSA administrative office and staff are located at the Oceanic Institute’s Makapu’u Point site on windward Oahu. Without aquaculture farmers, there would be no aquaculture industry. To help support these critical links in the production chain, CTSA has created the Farmers Outreach section of this website. This section features information on research, extension, and outreach resources for Pacific Island Farmers. 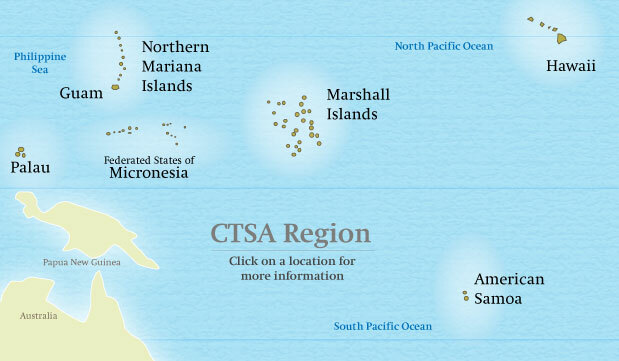 CTSA’s research, extension, and education efforts have resulted in the growth of the aquaculture industry in the Pacific Islands and beyond. The Center’s impacts are wide-ranging and include disease mitigation, sustainable aquatic feeds development, and propagation of new species, just to name a few.